First Cubs gear, now street festivals?! This is VERY much a Chicago blog this week, huh?! I’m not apologizing though! Summer in Chicago is the best – and nothing screams #summertimechi more than Cubs games and street fests, am I right? The only problem is that there are a million of them, so it can be hard to figure out which ones to go to. But don’t worry! 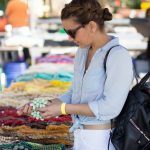 I’ve rounded up the Best Chicago Street Festivals that you won’t want to miss! 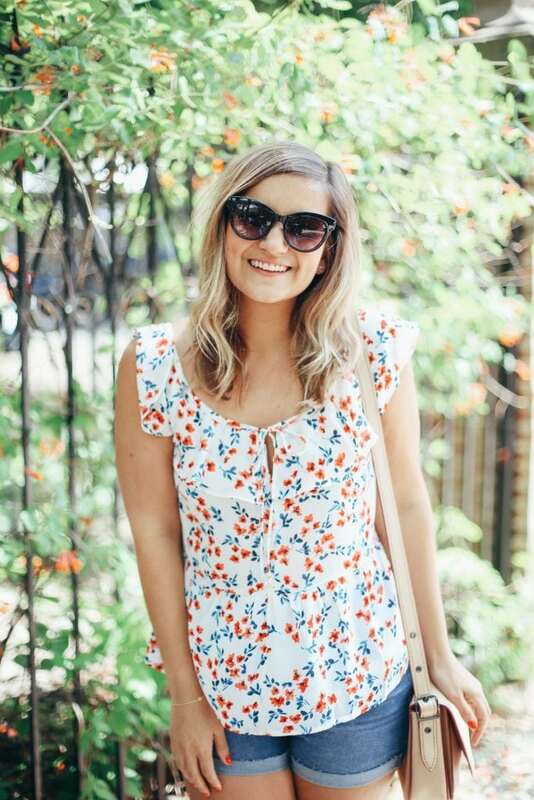 I love a good sundress in the summer, but if it’s a windy day in the windy city, a breezy top and shorts is the way to go. My Mom got me this top for my birthday and I love pretty much everything about it. 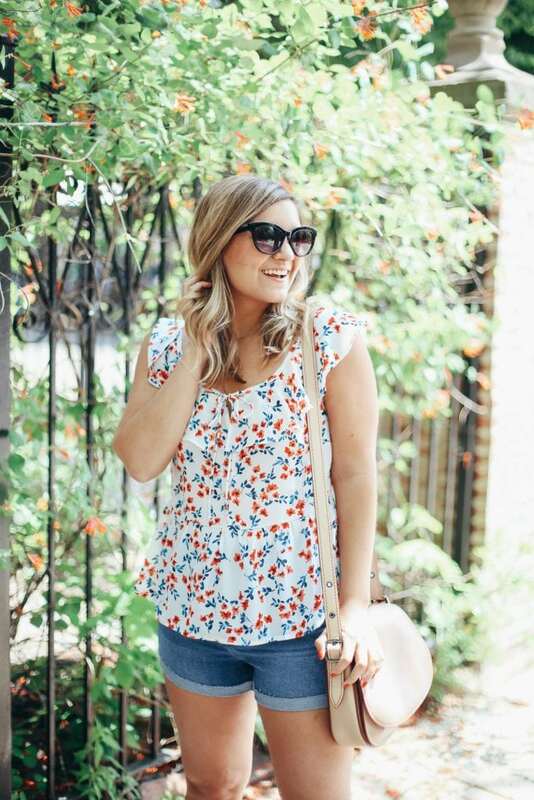 You can untie the little bow in the front for date night, or keep it tied for daytime activities – and because there’s red, white and blue in it, you could totally wear it on the 4th of July! 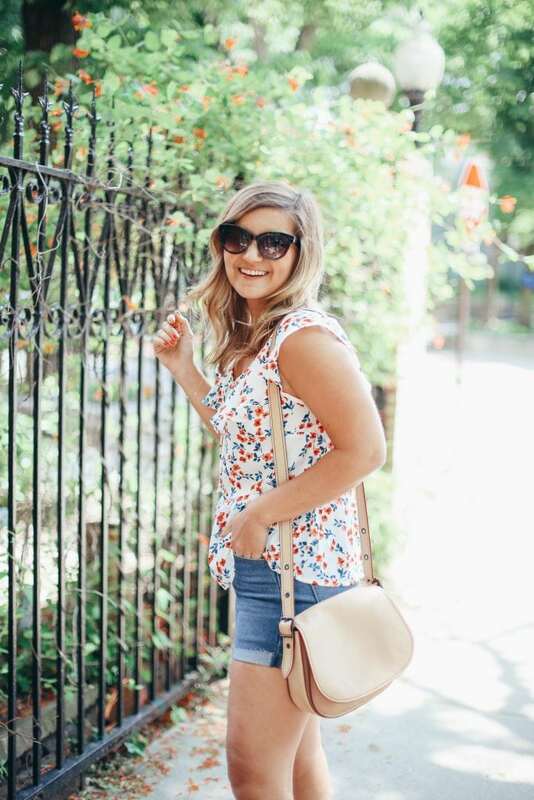 And then there’s these shorts that I snagged… for just $29! Whaaa?! They have a great high rise, and they’re slightly stretchy which makes them really comfortable. Huge win! And the last thing before street fests – THESE SHOES! I’ve been on the hunt for a cute go-to pair of sandals that aren’t just flip flops, and these have me written all over them. I mean, blush bows? Come on. How could I possibly resist?! Which Chicago Street Festivals are you going to this summer?! PS. You might also like Best Outdoor Concerts 2018, Best Patios in Chicago, and my Visitors/Weekend Guide to Chicago in the Summer! 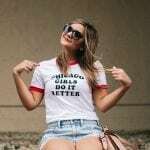 Shop my Cute Cubs Gear – and more favorites! 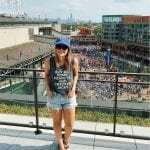 « Shop my Cute Cubs Gear – and more favorites!